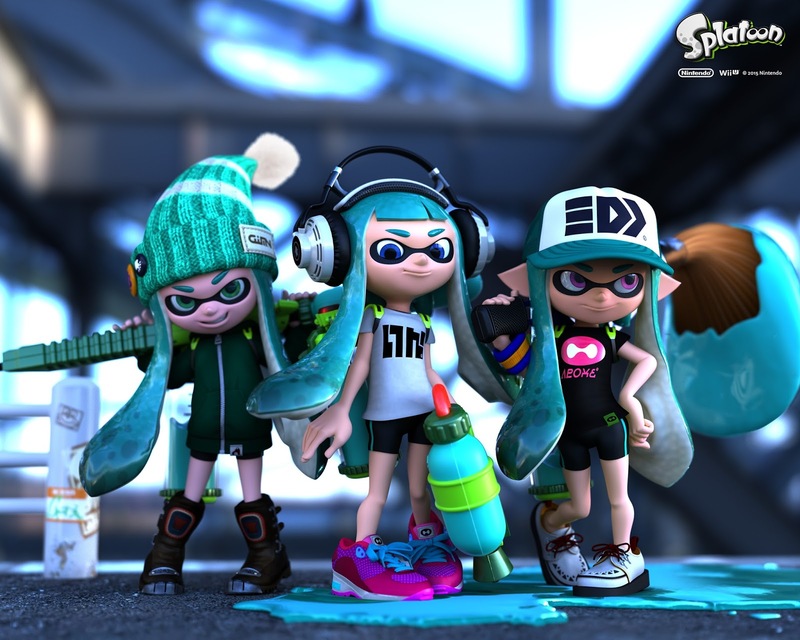 Nintendo have brought out a fantastic new game for the Wii U called Splatoon and we were thrilled to be asked to review it. In the game you are an Inkling and you run around squirting territory with your ink colour in order to claim it as your own. You can choose from a range of ink shooters, including the very useful paint roller if you earn enough winning points and are cool enough to upgrade (so I've been told!). They have some great names for the weapons, such as the Sploosh-o-matic and the .96 Gal Deco. 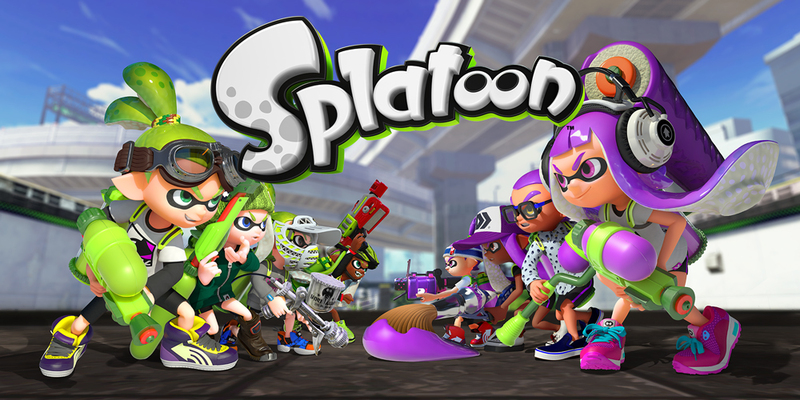 There are a few different types of game to try out; in the solo mode you aim your ink at balloons to pop as many as possible in a set time frame, then there's a Hero mode where you fight the Octarian army in a vast underground world filled with traps. In the online multiplayer mode you join with three other players from around the world to play Turf Wars against another team of four. In order to win you must paint the largest area of ground in your team's colour in a fixed amount of time. As you can imagine, this tends to get quite frenzied but can also provoke some thought around clever tactics and puzzle solving - wonder how many people know that it doesn't count to cover the walls for example?! The controls are easy to use (if you are not a technological dinosaur, ahem) and you can very quickly get the hang of this game. It's a good one to slip in and out of - we like the fact that the battles are over quickly then there's no trying to drag the girls away mid-game for tea! It has been billed as a shooting game, and is advertised for ages 7+, but it's not in any way violent or offensive, it's just good family fun and we definitely recommend it. Disclosure: we were sent a download code to trial this product; all views and opinions expressed here are our own. #RaceForLife. Together we are Stronger.